The Colorado Avalanche have re-signed Mark Alt to a two-year, two-way contract. 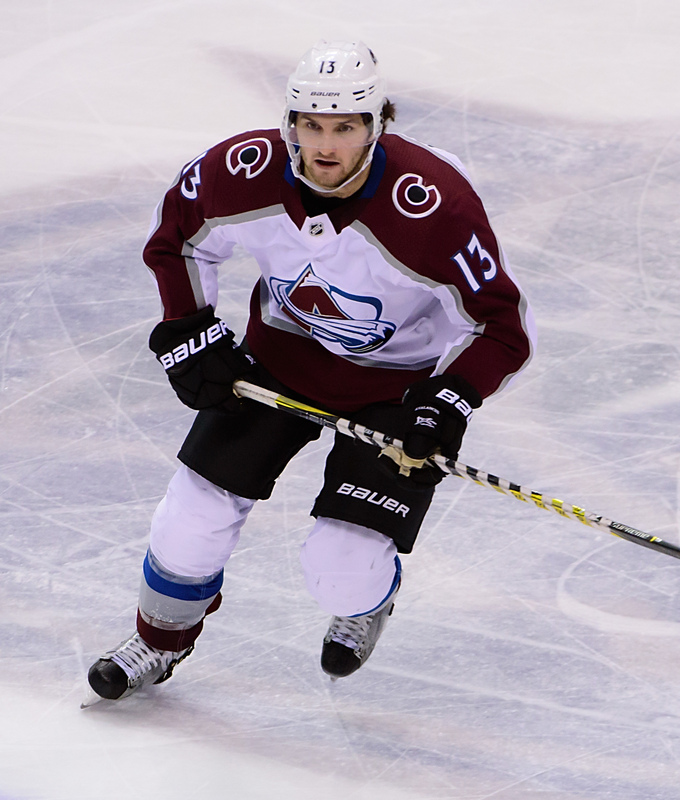 Alt was claimed off waivers from the Philadelphia Flyers at the end of February, and played seven games for the Avalanche down the stretch. The contract will carry an average annual value of $725K in the NHL. A 26-year old defenseman, Alt was originally selected 53rd-overall by the Carolina Hurricanes in 2010. By the time he finished his junior year at the University of Minnesota his rights had been traded to Philadelphia, where he signed and joined their minor league system. Though he made his NHL debut in early 2015, he wouldn’t suit up for the Flyers again until this season. 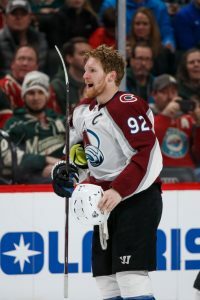 Alt does have some qualities that can lead one to believe he could take over a full-time role, but it still seems more likely that he’ll spend the year in the AHL. The 6’4″ defenseman has a crisp first pass and some offensive upside, but hasn’t really been able to grow those skills into a consistent presence. The Avalanche already have several defensemen under contract for next year, and a few more scheduled to become restricted free agents. There would have to be quite a bit of turnover for Alt to secure a regular role out of camp, though he’ll provide a solid depth option should injuries arise. AJ Haefele of BSN Denver broke the news on Twitter. As is often the case on trade deadline day, there have been several waiver claims around the league. Winger Chris Stewart has been claimed by Calgary (first reported by Michael Russo of The Athletic), blueliner Johnny Oduya is on his way to the Flyers (first reported by Sportsnet’s Elliotte Friedman), while defender Mark Alt has been picked up by Colorado (first reported by Pierre LeBrun of TSN and The Athletic). Stewart has put up a respectable nine goals in 47 games with Minnesota this season but has also been a frequent healthy scratch as his game-to-game consistency has been a concern, something that has been the case throughout his career. However, he should still serve as a fourth line option for the Flames and with a $1.15MM cap hit, is certainly an affordable option to add. Meanwhile, the Wild now free up a bit more cap space to work with which is important if they look to bring youngsters Luke Kunin and Jordan Greenway into the fold down the stretch. Stewart will be an unrestricted free agent in July. Oduya is no stranger to being moved around the trade deadline day although this is the first time he will do so via a waiver claim. The veteran had been shopped by the Sens prior to him being waived but evidently there were no takers. He has four goals and four assists in 51 games with Ottawa this season but is averaging a career-low 17:12 per night of ice time. It’s worth noting that if Oduya plays in 14 more regular season games, the Flyers will owe him a $250K bonus plus another $250K if they hold onto a playoff position. He also has $250K in bonuses if he finishes in the top-five and top-three in average ice time per game. Alt has spent the majority of the season while Philadelphia’s AHL affiliate in Lehigh Valley, posting five goals and five assists in 23 games. He also has suited up in eight games with the Flyers, being held off the scoresheet while averaging 13:26 per game. Alt will likely be a depth blueliner for Colorado and will be eligible for Group VI unrestricted free agency at the end of the season. With today being the last day to place players on waivers, many teams have placed players on waivers in hopes of adding some roster flexibility for the remainder of the season. According to Bob McKenzie, many players have been placed on waivers, including defensemen Christopher Breen and Paul Postma of the Boston Bruins, forward Jussi Jokinen of the Columbus Blue Jackets, defenseman Cody Goloubef of the Calgary Flames, forward Lance Bouma of the Chicago Blackhawks, forward Chris Stewart of the Minnesota Wild, forwards Alexandre Burrows and Jim O’Brien and defenseman Johnny Oduya of the Ottawa Senators, defenseman Mark Alt and goaltender John Muse of the Philadelphia Flyers and forward Chris Thorburn of the St. Louis Blues. McKenzie adds that New York Rangers forward cleared waivers today. Of teams that are still in the playoff race, the New York Islanders will likely get the first shot on many of these players if the team is looking to add more depth after trading for defenseman Brandon Davidson Saturday. While several of these players are AHL players who aren’t seeing time, there are several veteran players who are affected by the moves. Two of the most obvious are Burrows and Oduya. The Ottawa Sun’s Bruce Garrioch writes that the team failed to find anyone interested in trading for either players, so the hope is a team might be willing to claim them without having to give anything up. Burrows is one of those the team would like to close the book on. Acquired at the trade deadline a year ago for prized prospect Jonathan Dahlen, the team then made it worse by signing him to a two-year extension, worth $2.5MM per season. While he scored 15 goals between Vancouver and Ottawa last year, Burrows has struggled, having tallied just three goals in 51 games. Oduya was signed in the offseason and the veteran could be a solid candidate to be claimed by a team that needs some defensive depth. Another player who is likely to be claimed is Stewart, who the Minnesota Wild placed on waivers as the team wants to make room for adding 2016 first-rounder Luke Kunin or if the team signs Boston University star Jordan Greenway. The veteran is an excellent locker room presence, has quite a bit of experience and can score as he has nine goals in 47 games this year. Jokinen who has already been on waivers this year returns to it and could be claimed if a team wants some depth to their forward line. Chicago’s Bouma is another who could be claimed as he has fallen out of the Blackhawks lineup, but provides forward depth that could be useful for a team making a playoff run. He’s played in 53 games this year, totaling three goals, six assists and +1 plus/minus ratio. Other players like Alt and Postma are likely just heading to the AHL to join their playoff rosters. Alt has played just eight games in Philadelphia, spending most of his season in Lehigh Valley. Postma has been with the Bruins all year and might be heading to the Providence Bruins to help the team with their playoff push. He has appeared in just 12 games all season for Boston. Both Breen, O’Brien, Muse and Goloubef each signed two-way contracts in the last 24 hours and had to be passed through waivers in order to assign them to their respective NHL teams. O’Brien signed a two-way contract today, while Goloubef signed yesterday. FlamesNation’s Ryan Pike reports that Muse signed a two-way deal today. The Jets are hoping to have defenseman Dustin Byfuglien back in the lineup sometime early next month, reports Postmedia’s Ken Wiebe. The veteran blueliner has been out since suffering a lower-body injury on December 9th. He has, however, returned to practice and will be a welcome addition when he gets the green light to return as he has once again logged heavy minutes this season, averaging 23:40 per game. Still with Winnipeg, rearguard Toby Enstrom has also resumed skating although his return to the lineup is still a little further off. Jets bench boss Paul Maurice told Wiebe that Enstrom is still on pace to meet his original timetable for a return which should have him getting the okay to play around the third week of January. The NHL is in no rush to discuss participating in future Olympic Games, notes John Wawrow of the Associated Press. NHL Deputy Commissioner Bill Daly spoke with IIHF General Secretary Horst Lichtner during yesterday’s outdoor game at the World Juniors and acknowledged he was asked about when the NHL would be ready to talk about participating in the 2022 Games in China. Daly noted that talks won’t begin until the 2018 tournament ends but didn’t pour cold water on the idea, stating that “Obviously, some of the logistical difficulties we have with South Korea will be the same in China. But maybe there are some opportunities in China that aren’t in South Korea”. Lightning winger Ryan Callahan is on schedule in his recovery from an upper-body injury, reports Joe Smith of the Tampa Bay Times. He was initially expected to miss three-to-four weeks after being injured on December 14th but Callahan has already resumed skating. He’s expected to accompany Tampa Bay on their upcoming five-game road trip that ends on January 7th and he should be close to getting the green light to return by then. Smith adds that defenseman Anton Stralman, who missed his second straight game Friday with a lower-body issue, is expected to return to the lineup on Sunday. Flyers defenseman Mark Alt has cleared waivers, Sportsnet’s Elliotte Friedman (Twitter link) was first to report. He’s expected to be assigned to their AHL affiliate in Lehigh Valley where he had gotten off to a nice start to his season, recording nine points in 16 games. For perspective, he had just 11 points in 40 contests in 2016-17. The Philadelphia Flyers have placed Mark Alt on waivers today, likely in hopes of sending the defenseman back to the minor leagues. Dalton Prout and Dennis Rasmussen, who were both waived yesterday, have cleared and can now be assigned to the AHL for their respective teams. Alt has played eight games for the Flyers this year, but is likely the odd man out if Brandon Manning is nearing a return. The 26-year old has shown some ability to play at the NHL level, but has never grabbed a full-time spot and held onto it. Selected in the second round in 2010, his career has been almost exclusively spent in the minor leagues. There is a chance someone puts in a claim if they’ve seen something in Alt’s game that warrants a longer look, but it’s more likely he’ll return to the Lehigh Valley Phantoms tomorrow. They’ll welcome him back as they continue their Calder Cup chase, which is going well so far this season. The Phantoms currently have the most points in the Atlantic Division and sit at 20-9-4 on the season. A healthy Alt will only strengthen their defensive unit, and push them closer to the playoffs. The floundering Buffalo Sabres have made a move, calling up forward Hudson Fasching from the AHL’s Rochester Americans, per a team report. The Sabres have failed to score a goal in each of their past three games and face the two-time defending Stanley Cup champs, the Pittsburgh Penguins, again today as the second half of a home-and-home. Buffalo could use all the help they can get and Fasching is tied for the team lead in goals in Rochester and uses his big frame to create opportunities around the net. The former University of Minnesota star has not proven himself in the pros quite yet, but could earn a regular role in the NHL if he jump starts the Sabres’ season (or at least scores a goal). The Dallas Stars announced that they have recalled forward Curtis McKenzie from AHL Texas. McKenzie has been back and forth multiple times already in 2017-18, but hasn’t had the opportunity to play for Dallas despite leading the Texas Stars with 10 goals and 68 shots in 19 games. The 2009 draft pick hasn’t exactly been an offensive juggernaut at the next level though; he recorded only five points in his first 39 NHL games, but at least took a step forward last season with 16 points in 53 games. Many expected McKenzie to have a full-time role after gaining so much experience last year, but it hasn’t happened for him just yet. Perhaps a strong showing – should he get the opportunity – on this latest recall could keep him in Dallas for a longer, more involved stay. The Philadelphia Flyers announced that they have recalled defenseman Mark Alt from Lehigh Valley of the AHL. He sits second on the Phantoms in points by a defenseman with nine through 16 games. He’s also no stranger to being with the big club as this is his third recall already this season. He has played in six games with the Flyers, being held off the scoresheet while averaging just over 13 minutes per night. The Tampa Bay Lightning have promoted defenseman Jamie McBain to the big club, per a team release. The veteran has yet to play with the Lightning this season but has picked up 11 points in 21 minor league contests. He has plenty of NHL experience under his belt though with 348 career games split between Carolina, Buffalo, Los Angeles, and Arizona. His promotion was needed with fellow blueliner Braydon Coburn being listed as day-to-day with a lower-body injury. The Montreal Canadiens have recalled blue liner Jakub Jerabek from the AHL, according to TVA’s Renaud Lavoie. Jerabek is in his first season in North America after signing with the Habs this summer. However, the Czech native has yet to make his NHL debut, as Montreal has plenty of veteran albeit under-performing defensive depth. However, with the Laval Rocket, Jerabek has 11 points in 17 games and is a +10; impressive totals worthy of a recall. Jerabek also had the option of returning to Europe if he had not been recalled by mid-December, so there is strategy to the Canadiens’ move as well. Another young import, Finnish forward Henrik Haapala, could also make his NHL debut tonight. Per NHL.com’s Tom Gulitti, the Florida Panthers have called up the small scoring winger. Haapala is in his first season in North America after scoring 60 points in 51 games in the Finnish Liiga last year. Thus far in 2017-18, Haapala has seven points in 11 games for the AHL’s Springfield Thunderbirds. The Panthers have been liberal with number of call-ups and variety of players called up so far this season, as Haapala is just the latest to join the list. Philadelphia is bringing in reinforcements. The team announced the return of young defenseman Samuel Morin and the first recall for forward Danick Martel. Morin is a name most fans recognize as a former first-round pick of the Flyers, however it is Martel who may be more intriguing. In his fourth pro season, Martel has exploded this year, leading the AHL with 14 goals. Martel scored just 20 goals last season and already has half as many points in 17 games as he did all of last year in 68 games. The Flyers surely hope that his hot hand continues at the next level. In a corresponding move, Philly also sent defenseman Mark Alt and veteran forward Matt Read to the AHL’s Lehigh Valley Phantoms. It was only a matter of time (and health) before Morin replaced Alt on the NHL roster, but the demotion of Read is certainly a big deal. The long-time Flyer cleared waivers last week and will now head to the minors, his 400+ games of NHL experience not enough to keep him around. Colorado has recalled goalie Andrew Hammond and the former Senators keeper could make his Avalanche debut sooner than expected. Hammond was acquired as more or less a salary dump by Ottawa in the recent Matt Duchene–Kyle Turris blockbuster. With Semyon Varlamov and Jonathan Bernier in the net, no one thought Hammond would be anything more than a depth asset for the Avs. However, with Varlamov too sick to even suit up, “The Hamburglar” will get his chance. After a remarkable run for the Sens in 2015-16, Hammond struggled greatly in both the NHL and AHL last season and could use a fresh start. The Edmonton Oilers have made a flurry of moves already today, first terminating the contract of Ziyat Paigin, who predictably cleared unconditional waivers yesterday. Paigin came over from the KHL last season, but it was never a good fit between the two sides. Paigin failed to record a point in the only 12 AHL games he played. With no chance of a bump up to the NHL, Paigin wished to return to Russia and the Oilers were more than willing to oblige him. Edmonton then recalled defenseman Ryan Stanton from the Bakersfield Condors. A free agent acquisition this off-season, the journeyman rearguard could help out the struggling Oilers with his sound defensive game. In a corresponding move, veteran forward Brad Malone was reassigned to the AHL. Julius Honka is headed back to the minors, as the talented, young blue liner was demoted by the Dallas Stars today in exchange for forward Curtis McKenzie, per a team announcement. The Stars have been underwhelming in 2017-18, but their biggest issues continues to be goal prevention. As promising an offensive defenseman as Honka may be, he’s not what Dallas needs right now. Perhaps two-way forward McKenzie, who is also scoring at a point-per-game pace in the AHL, can help the cause. Paul Kariya, Teemu Selanne, Dave Andreychuk, Mark Recchi and Danielle Goyette will have their names enshrined in the Hockey Hall of Fame tonight, after spending all weekend in Toronto doing various events. The legends took to the ice yesterday in a game which team Messier won 10-9, one that saw Kariya and Selanne reunited after a mid-game trade. The pair would connect on another goal, hopefully not their last on the ice together. As the legendary players of the past take a lap and enter the distinguished group of Hall of Famers, we’ll keep track of the next wave of NHL wanna-be stars. As always, all the minor transactions of the day will be right here. The Philadelphia Flyers have recalled Mark Alt from the AHL. Alt was only sent down for the weekend, and will now re-join the Flyers for their game tomorrow. Rookie Nolan Patrick is expected to skate with the team today, but there is still no confirmation of when he’ll be back in the lineup. With the Ottawa Senators off until Thursday, the team has sent Nick Paul, Ben Harpur and Jack Rodewald back to the AHL. The team will be able to bank cap space for a few days, while the three could get into a game on Wednesday with the Belleville Senators. The team also expects Bobby Ryan and Mark Borowiecki back before long. The Winnipeg Jets have assigned Brendan Lemieux to the AHL according to Jamie Thomas of JetsTV. With the return of Mathieu Perreault in today’s practice, Lemieux’s spot is no longer open on the team. He’ll go back to the Manitoba Moose and wait for his next opportunity. After placing Antti Niemi on waivers, the Florida Panthers have recalled Curtis Valk from Springfield. The undrafted Valk is off to an incredible start with the AHL Thunderbirds, scoring 15 points in 16 games. The undersized forward earned his first NHL contract this summer after starring with the Utica Comets last season. Buffalo has sent Justin Bailey back to the minor leagues, likely indicating he’s healthy enough to get back on the ice. Bailey hasn’t played since October 28th with a lower-body injury, but did have three points in his six previous games. He’ll likely be back with the team before long. The Calgary Flames have officially moved Rasmus Andersson back to the AHL, clearing room for Travis Hamonic to be activated from injured reserve. Andersson clearly has a future with the Flames, but will have to wait for another opportunity to get into a full-time role. In two career games he has yet to record an NHL point. The Boston Bruins have recalled Kenny Agostino and Peter Cehlarik under emergency conditions due to the absence of Brad Marchand and Anders Bjork from practice today. Marchand and Bjork aren’t travelling with the team as they continue to nurse injuries suffered against Toronto on the weekend. Cehlarik has yet to play for Boston this season after making his NHL debut last year. In 11 games, the 22-year old registered two assists. Zac Dalpe, who hasn’t played in the last few games, has been moved to injured reserve by the Columbus Blue Jackets. In his spot, the team has recalled Jordan Schroeder from the Cleveland Monsters. Schroeder has five points in nine games this season for Cleveland, but has never truly been able to lock down a full-time job at the NHL level. In 144 career games, the 27-year old has 40 points.